Extract from SEVASTOPOL IN DECEMBER, 1854. By Leo Tolstoy. Continuing my Personalities of the Crimean War series, it seemed appropriate to begin this post with an extract from Leo Tolstoy’s wonderfully vivid description of the experience of the dawning of a day spent in Sevastopol during the siege. 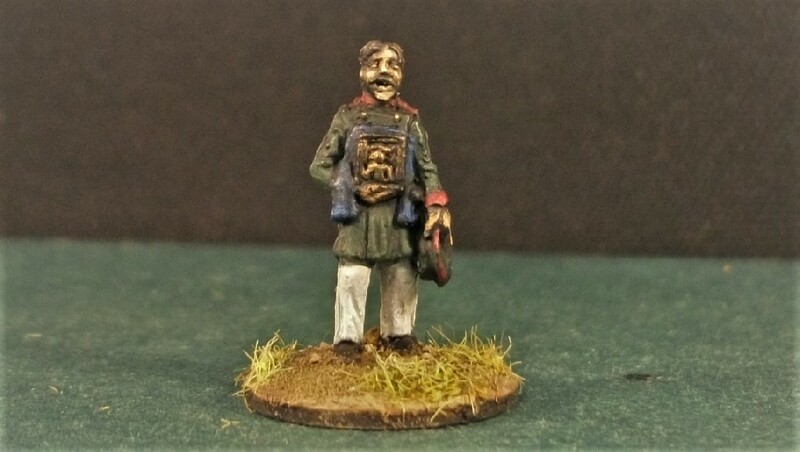 Strelets’ Crimean War big box set “Russian General Staff and Hospital” have referenced this work by including a figure of young Count Tolstoy in his junior artillery officer’s uniform. World-famous novelist Count Lev (in English, Leo) Tolstoy was born of a respected aristocratic family. He joined the army with his brother in order to escape some large gambling debts. As a young artillery officer, Tolstoy found himself commanding a battery during the 11-month siege of Sevastopol. The young aristocrat would go on to write about his experiences during the siege in a well-received book titled “Tales of Sevastopol“. It’s well worth a read, particularly for the English reader to understand the experiences and feelings of the besieged Russians. His wartime experiences would also inform Tolstoy’s great work on Russia during the Napoleonic conflict; “War and Peace”. The horrors that Tolstoy experienced in Sevastopol led him to later formulate strong ideas on non-violent resistance, ideas which in turn inspired future activists such as Ghandi. Young Leo Tolstoy in military uniform. 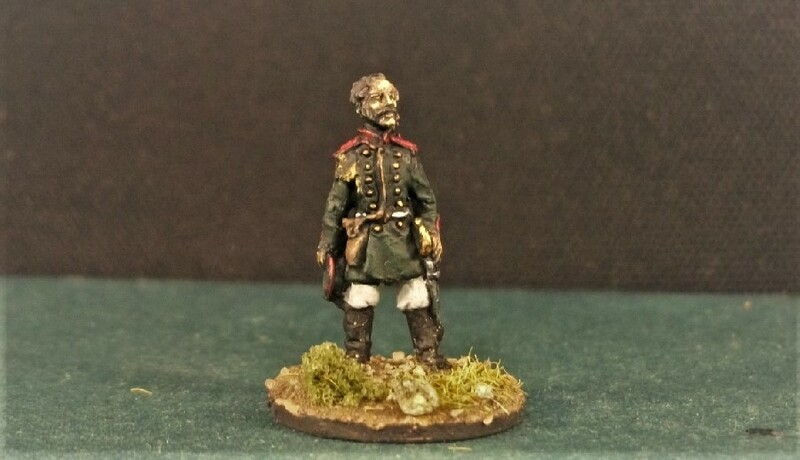 Strelets Tolstoy figure looks great. 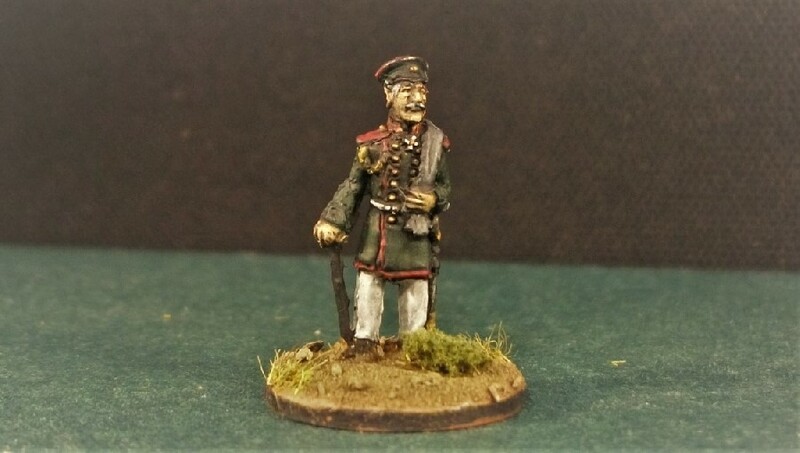 Most probably it’s down to my paint job, but somehow he doesn’t quite look like the youthful lieutenant he was at this time! Menshikov was the commander-in-chief of all Russian land and sea forces during the Crimean War. 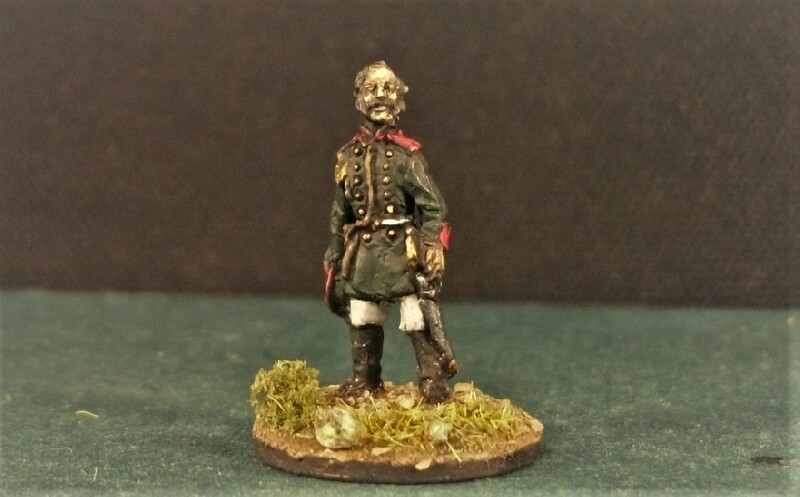 The ageing general was a veteran of the Napoleonic Wars, like his equivalent in the British army. He was born of aristocratic parents being the grandson of Alexander Danilovich Menshikov who was a favourite of, and military advisor to, Peter the Great. Entering the Russian diplomatic service, he became close to Tsar Alexander I and accompanied him throughout his campaigns against Napoleon. During the Russo-Turkish War of 1828, Menshikov distinguished himself at the Siege of Varna until an exploding Turkish shell badly wounded him in the groin. Rising within the government, Menshikov was perceived to have been an impediment to the modernisation of the Russian navy, a failing with effects which would become apparent during the Crimean War. Appointed to command the Russian forces in that campaign, he was eventually viewed as militarily incompetent and was replaced by Prince Gorchakov in February 1855. Prior to his removal, Menshikov had presided over the Russian defeats at the battles of Alma and Inkerman. I think Strelets’ Menshikov appears suitably advanced in years with his white hair and walking cane. I’m not sure what’s over his shoulder but I’ve taken it to be some sort of blanket. Born of German-Baltic nobility, Lieutenant-Colonel Totleben was a highly competent engineer and became the inspirational force behind the defences of Sevastopol. On his advice, the fleet was sunk to block the harbour mouth and the land defences were hurriedly secured before the allies could take advantage of it after the Russian defeat at the Alma. Shortly before the fall of Sevastopol, Totleben was badly wounded in the foot and evacuated. After the war, his great contribution was fully recognised and he was honoured even by his former enemies, paying a reconciliatory visit to England. In a classic engineer pose, Totleben’s Strelets figure holds dividers and a map or plan. I felt I had to have a go at these two figures. These are, I understand, Terek Cossacks. The Terek Cossack Host had those distinctive fur hats with red coloured tops. 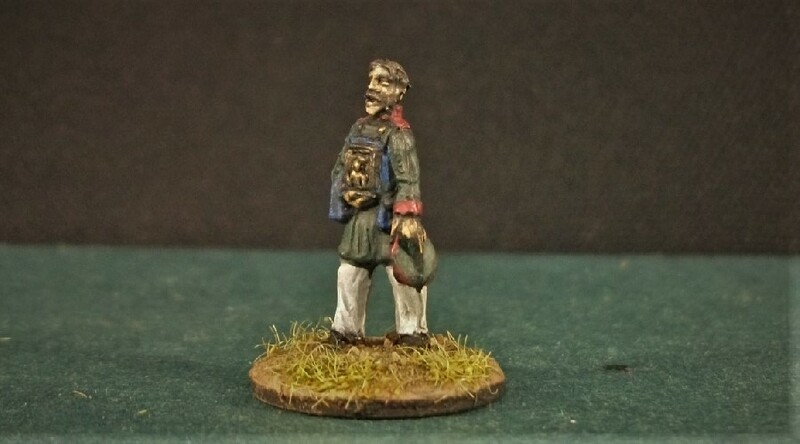 I read that Terek Cossacks wore a dark grey / black uniform but Strelets has shows them as a ragtag collection of differing colours, so I’ve stuck with that for these two. The two figures feature one man sitting on an upturned crate playing what is clearly a balalaika. His companion dances enthusiastically despite being encumbered by some serious weaponry. Once again, I think the expressions on their faces are really pleasing. 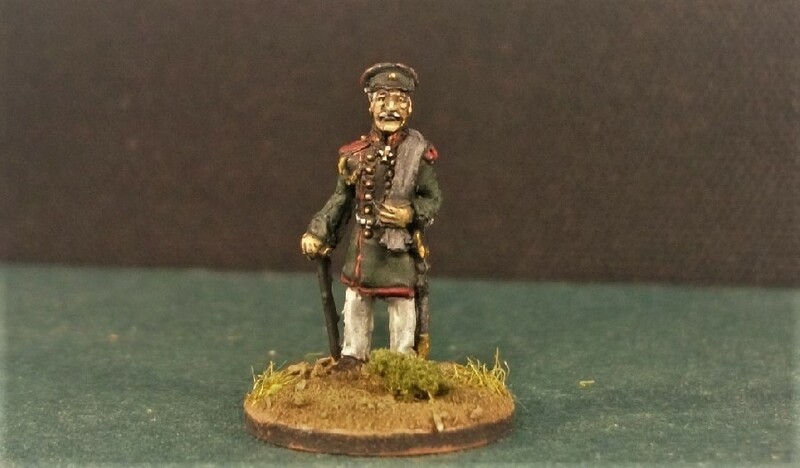 Plastic Soldier Review states; “this is neither staff nor hospital, but adds a welcome touch of colour and humanity to the Russian figures.” Agreed. 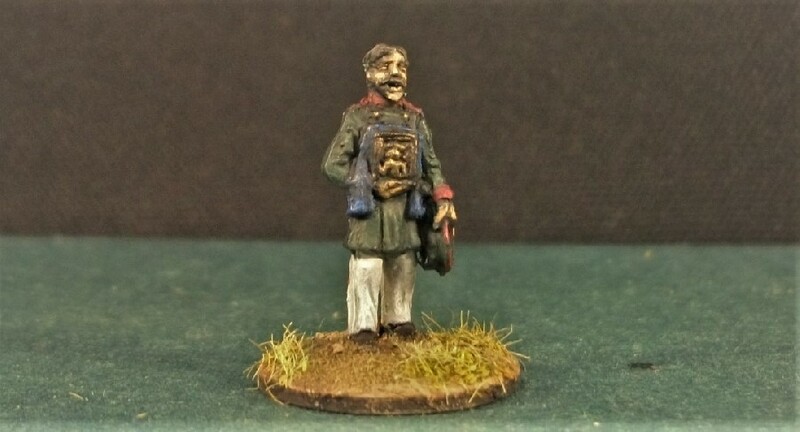 A companion to the other icon carrier I painted recently, this chap is clearly of the church rather than in the army. My religious icon isn’t quite aligned properly, but it’ll do! And finally, a Russian soldier acts as a lay member of the church by carrying an icon before his comrades manning the defences, offering divine blessing and inspiration to them. He has removed his cap, presumably as an act of respect. The icon I’ve taken to be an image cast in gold with a blue drape around it. I like the figures face, intoning a hymn or prayer, and he goes well with the other religious figures I’ve painted. So, it shouldn’t surprise you to learn that I’ve got my sights set on another batch of Crimean personalities which I’ll post whenever I get some time to tackle them. Great post- wonderful painting and I really like the little bios. 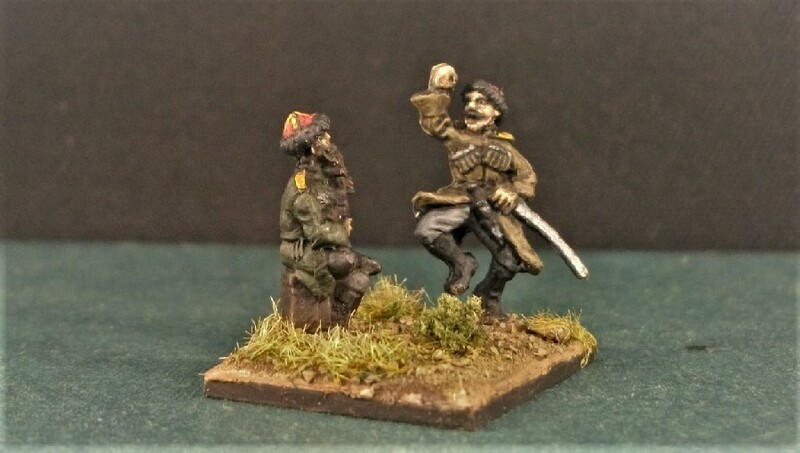 The pair of cossacks are my favourite though- such motion and animation in them. Good to have the Russian perspective (not read Tales from Sevastopol) and some unusual figures to match the British command figure ones. As everyone says, excellent dancing Cossacks! 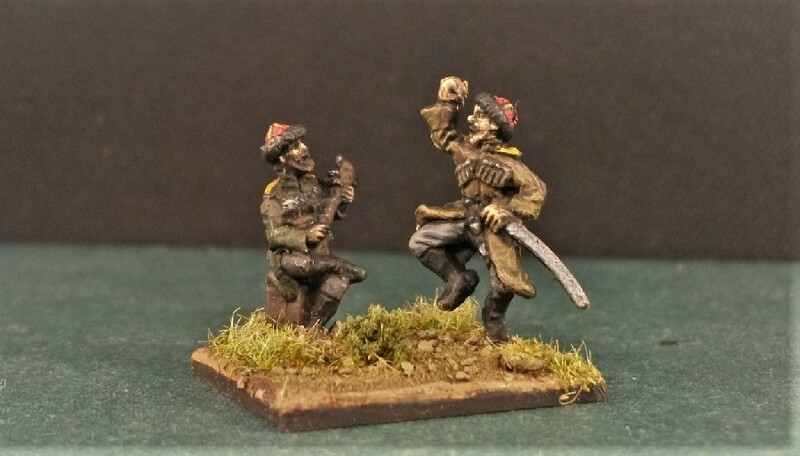 I’m thinking Strelets are maybe missing a trick not producing an entire Cossack dancing set! Still reading the Tales from Sevastopol book, but am enjoying it. I think they would be great as 54mm too. 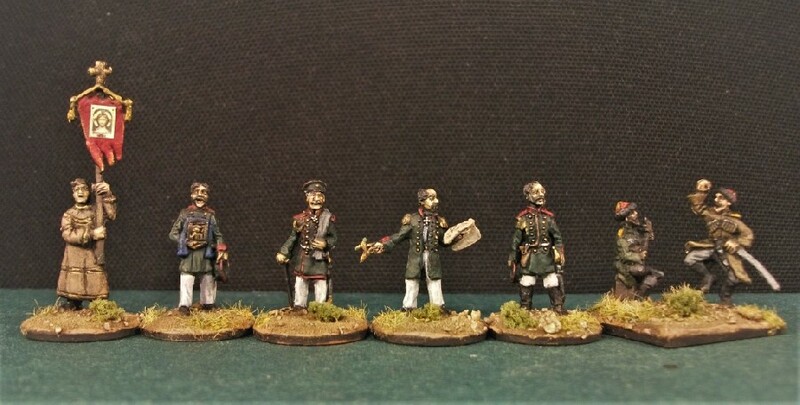 Why not wrote to them with the suggestion and send them your blog link to your painted figures? You know, I might even do that. Strelets do such things as two sets featuring nothing but Roman senators in the togas in various poses, so a box of whirling Cossacks isn’t so far from their oeuvre. Well done again mate , the book sound interesting I’ll keep it in mind as I’m an avid reader . Cheers, pal. That book is freely available from the Gutenberg Project, if you can stand reading eBooks rather than real pages.